Ana has a degree and PhD in Social Psychology. Her thesis titled “Adolescent’s Self-Representation: Assessment and Construction Process” looked at how young people develop their views about themselves and the influence of the relationship with their parents in this process. 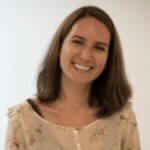 Ana’s work in health and patient experience research began in Dublin in 2011. For 2 years she looked at children’s experiences of involvement in decisions about their care as well as parents and health professionals’ views. At London South Bank University she involved in a three-year project – CLIC Sargent ‘More Than My Illness’ Evaluation. This evaluation looked at the impact of the nurse specialist key worker role on children diagnosed with cancer and their families’ experiences in 18 Principal Treatment Centres across England, Wales and Scotland. Ana recently joined the BRIGHTLIGHT team as a Research Associate. This is an exciting opportunity to work on Workstream 4 which aims to assess opportunities arising from the initial study findings for service improvement and it will be informed by Workstream 1, 2 and 3.